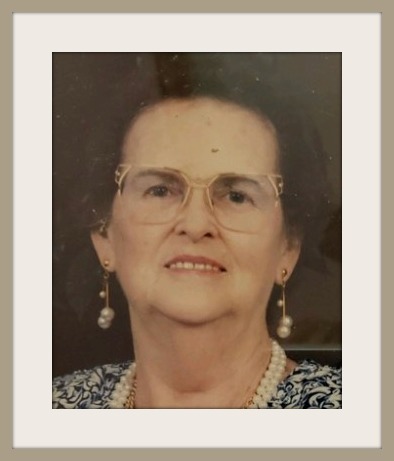 Obituary for Dollie Belle (Hathaway) Hillyard | Minnis Chapel, Inc.
Dollie Belle (Hathaway) Hillyard, age 95, passed away Nov. 28, 2018 at Diversicare of Larned. She was born on June 14, 1923 at St. John, KS, the daughter of Robert Thomas and Lavina Belle (Weibling) Hathaway. She was a homemaker and member of the Mormon Church. On May 14, 1966 she married William Harris Hillyard at Las Vegas, NV, he preceded her in death in 2007. Survivors include a brother, David Hathaway, Hutchinson, KS; a sister, Rosa Lee Ford, Kinsley, KS; 3 grandchildren, 3 step-grandchildren and several great grandchildren. She was preceded in death by her sons, John Paul Rahm, Jr. and Thomas Robert Rahm; sisters, Lillie Mills, Jessie Bartlett and June Wallace. Funeral service will be 11:00 AM, on Monday, Dec. 3, 2018 at Minnis Chapel, St. John, with Jerry Rahm, John Rahm and Gordon Williams presiding. Burial will follow in the Fairview Park Cemetery, St. John, KS. Memorials may be given to the Church of Jesus Christ of Latter Day Saints in care of Minnis Chapel, P.O. Box 34, St. John, KS 67576.